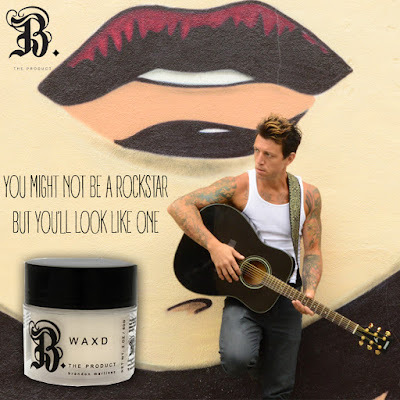 Waxd | Be A Rockstar Even If Your Not! We all dream of being rockstars! Unfortunately, we all can't be. Second best option? Use B. The Product's Waxd. B. The Product's Waxd is Soy based, so you you can get all the hold you want without it becoming sticky, greasy or flaky. Soy is a natural ingredient so you won't have to worry about your skin breaking out. Have skin problems? We have something for that as well. Check out our B. Devoted #Advanced_Skincare line with Hyaluronic Acid, Ferudic Acid and Vitamin C.
Great for men as well. B. The Product was created for men and women. B. The Product is True Hollywood Haircare.